I love Ugly Dolls. They crack me up. Also, they are cuddly. 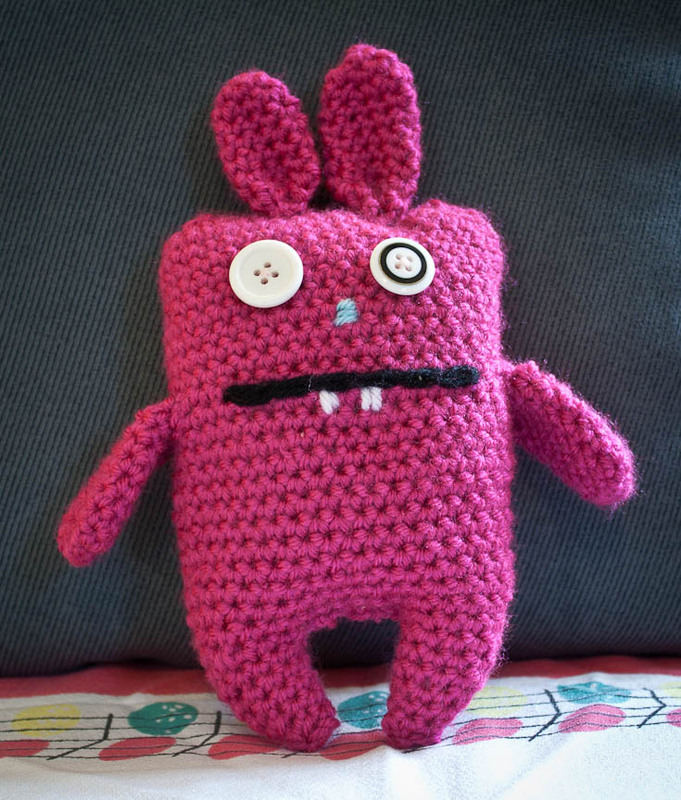 This nutty bunny resembles Ugly Dolls and it looked relatively simple to create, so I got going. It only took a few hours to make and since I used a larger hook -- J size -- it turned out sort of stuffed animal sized. I opted for button eyes cause I thought he looked crazier that way.